The EasyBOW Polka Dot Delight Dog Collar Attachment by Dogo will pop on your pups collar or harness! 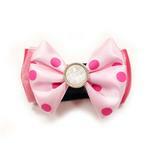 Beautiful bows created to be worn on you dog's collar and harnesses. Each bow is very simple to use and has very elegant chic design. Elastic strap with touch fastener is used for adjusting and fastening. Great for a quick dress up and pictures! 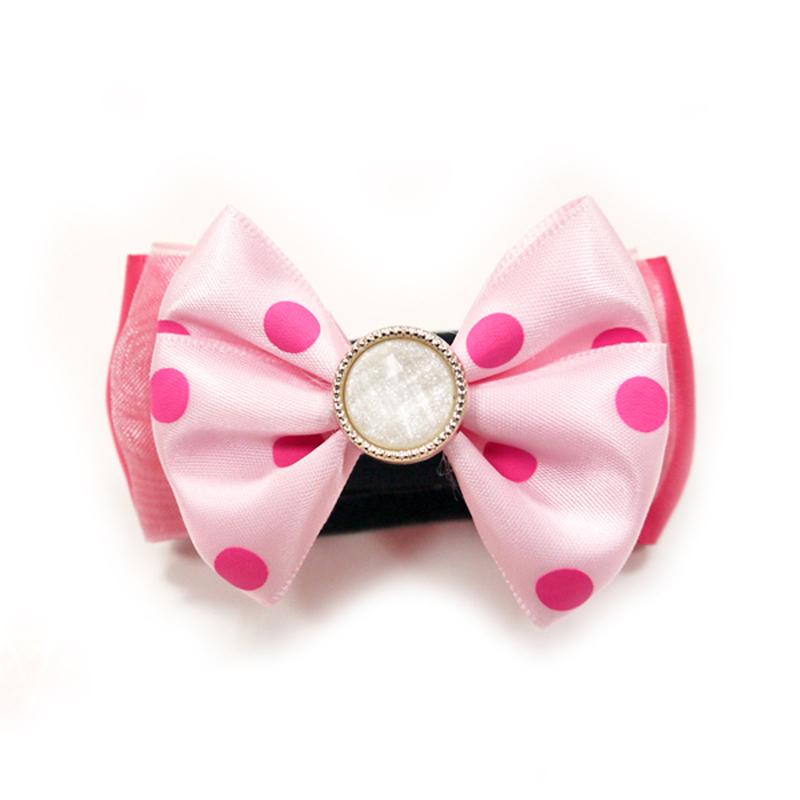 EasyBOW Polka Dot Delight Dog Collar Attachment by Dogo - Pink Customer Photos - Send us your photo! Happy 5th Birthday to our Lexi!! She has been celebrating her birthday all day wearing her beautiful collar bow she got from BaxterBoo!! These items are labeled a small but they were way too large for my small dog. I did however receive fast delivery but unfortunately I needed the items for an event and will not be able to reorder and receive in time.